This Saturday night head downtown to experience a unique fusion of fashion and philanthropy at the 4th annual Couture for a Cause fashion show benefitting Activate Good. Activate Good is a nonprofit organization that works as a “force multiplier” for other nonprofits needing support, by recruiting and connecting volunteers with organizations in Raleigh and the Greater Triangle area. Activate Good is currently partnered with 110 nonprofit organizations and connects with 2,176 volunteers. Couture for a Cause’s annual fashion show raises funds for Activate Good’s programs and highlights the goals of participating nonprofit partners. This year’s event is sure to be a spectacle of unique design and creative fashions. Couture for a Cause features local designers, each of whom has been paired with one of Activate Good’s nonprofit partner organizations. Each designer has been busy over the past weeks creating looks that embody his or her particular organization’s mission. The show provides local up-and-coming designers with a platform to showcase their talents while simultaneously increasing awareness and raising funds for the nonprofits for which they design. Models will strut their stuff up and down the runway dressed in creations by more than 20 designers. Of course, there will be a little friendly competition involved – participants have designed both ready-to-wear and couture looks. How well each creation captures the essence of that designer’s particular nonprofit will be decided by a panel of judges. Past designs include an interpretation of The Neuse Riverkeeper Foundation’s pursuits in a full-length one-shoulder blue gown with a cascading train reminiscent of a rushing river. 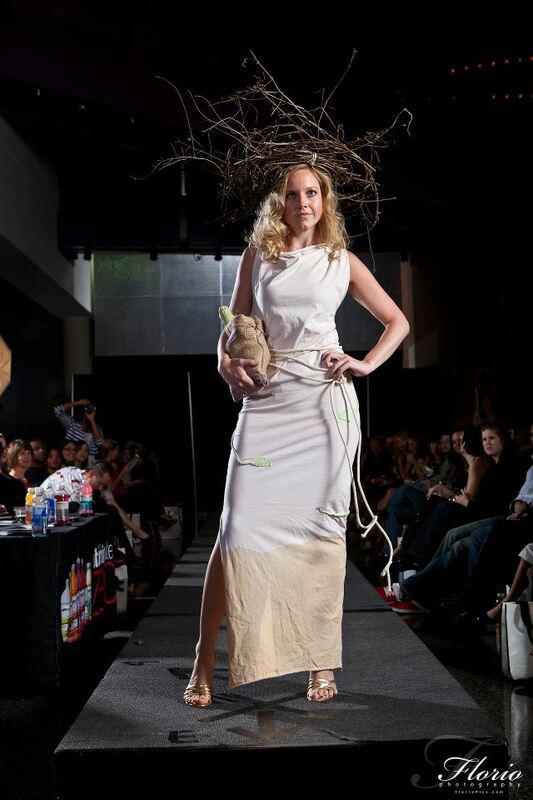 For Grow and Share an earthy goddess dress was made complete by a corn sack “clutch” and an outrageously awesome twig headdress. 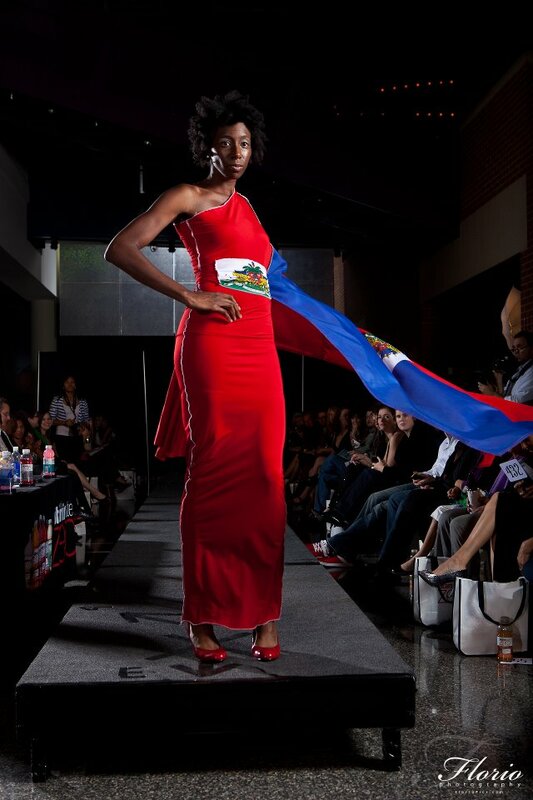 A design for Hope for Haiti drew colors and graphics from the Haitian flag and spun them into vibrant formalwear, and getup repping Zach’s Toy Chest included sassy toy soldier-inspired ensemble. The 4th annual Couture for a Cause fashion show will take place this Saturday, November 10th from 8-10 pm, at the Marbles Kids Museum downtown. Come out, support your local nonprofits and get a fashion fix! Get tickets here.